I guess it would be fair to say that my life has sort of fallen apart this last week. After more than six months of trying to reconcile with my ex-husband, I decided that it just wasn't working. I know he was trying, but I just wasn't happy. I'm not ready for a relationship... Not with him. Not with anyone. Hollie just wants to be with Hollie right now. The breakup has caused major stress, though. Needless to say, Mr. Leonard was NOT happy about my decision. And unfortunately, other bad stuff has resurfaced. It makes me sad, but I stand behind my decision. The decision to do what's best for me. Because I truly believe that when I'm happy, my kids are happy. I haven't talked much about this to anyone, but I have been attending Overeater's Anonymous. I truly think it's what has helped me stay sugar/white flour free for almost six weeks. I'm treating my obsession with food as an addiction, because I believe it is. And the support of the group of people with my same illness is very helpful. I am changing for the better. 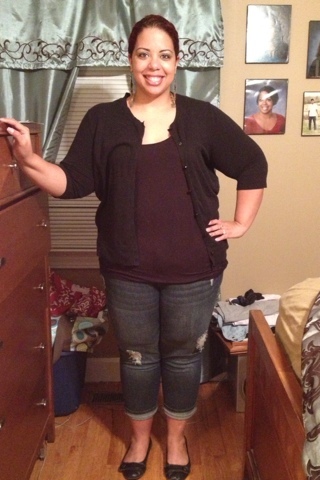 And the pounds that I'm losing is just a result of the work I'm doing on myself from the INSIDE. Suddenly, eating right is so much easier. If you told me two months ago that I'd be almost 6 weeks sugar free, I wouldn't have believed you. But here I am. I know it's hard for him to understand, but ending this relationship is just part of the transformation. The old Hollie was scared to be alone. She would rather settle for 50% happiness from another person than risk having to go 100% by herself. Not this Hollie. I am strong. I love myself now. I am worth so much more than settling for anything less than 100%. Life is too short for regret. And I know in my heart that everything will be alright. The scale is still holding steady at 294 which is fine. I haven't been to the gym in a week (since I lost my gym partner in the breakup, and since my evenings are busy now that I'm in single mom mode). But no excuses... Tomorrow, I have promised daughter and her friend and my nephew that we could start going to the gym after school. My evenings are clear all next week, so this is totally possible. I had a NSV yesterday... I was able to fit into a pair of new pants that I found in a box. I bought them over a year ago on clearance, but when I got them home they didn't fit. I only paid $8 for them, so I just put them up in hopes that I could wear them one day. And yesterday was that day! Many people on Facebook have been asking to see what I eat everyday. Well, I snap pictures occasionally, and decided to start posting some on the end of the blog for those who wish to take a look. If you're on My Fitness Pal, you can add me as a friend (SkinnyHollie) and view my diary whenever you wish, too. 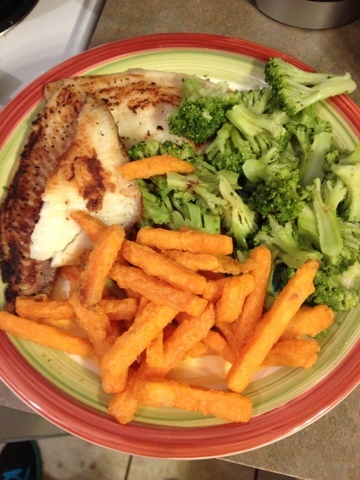 This is tilapia with broccoli and sweet potato fries. (441 calories). I suddenly love fish... I eat this dinner a lot, minus the sweet potato fries. I only allow myself to have those about once per week. But I eat a lot of broccoli and fish. This is a chicken breast and french green beans drizzled with Alfredo sauce. (270 cal for the whole dinner - only 2 carbs for that sauce). 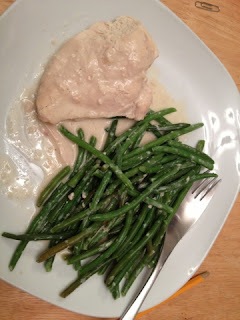 I rarely eat chicken anymore, but this was ok. And I love these green beans from Trader Joe's. 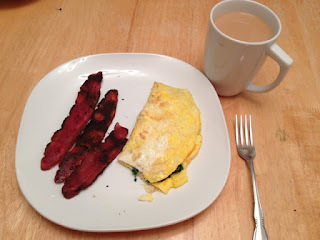 And this is my typical breakfast... 3 slices of turkey bacon and a 2-egg omelet stuffed with reduced fat cheese and spinach. And coffee (sweetened with 1 packet of Splenda and 3 tbs half and half). 424 Calories. Ive mailed off all my three books that have been given away... and I'll be posting another one soon! Hi.. I am new to your blog... and what a post to start off on! I am so terribly sorry that you are dealing with all that you are dealing with right now.. but what an inspiration you are, in spite of it. 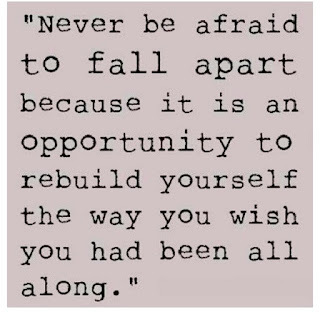 That you can continue to be good to yourself and make smart decisions amongst (seemingly) chaos is so admirable. Good luck with all of this. You clearly deserve to be HAPPY. And you'll get there. PS : You are freakishly beautiful!! Cheering you on for the next steps in life Holly. I hear you on the single mom thing and fitting in the gym. It takes a lot of strength and courage to do what is right for you. Awesomeness. And congrats on the jeans too. Onward. Wow what an inspiring post! I am proud of you for realizing what is important and making it happen. That isn't the easiest as we all know. I'm sorry for your break-up, I'm glad you at least gave it a try again but I remember before you weren't happy. Dang, we've been online friends quite a while now! Hang in there you can totally do this. This is the year we reach our goal. We've been putting it off way too long. So you're doing OA and My Fitness Pal now? I don't know anything about OA I'll have to check them out. My Fitness Pal... all my inlaws lot a LOT of weight. My brother-in-law lost about 70-100 lbs and my sister-in-law lost about 45lbs. It's a great site. SUCH A FANTASTIC NSV too. The longer I go down this road of healthy, happy living, the more I realize food is but a small part out of it. There's just a certain clarity you get where you truly begin to understand that "junk in, junk out" applied to all areas of life. That discipline will start to extend to other areas of your life and you will reap the benefits. I can't say it enough... how proud I am of you. You're an all around amazing person. Once you truly understand how much you have to offer... the results are going to be insane! I am sorry about the stress Hollie, but you do sound strong and happy. Being off sugar is a lifesaver! Hugs. Check you out! Your transformation is already happening! Great NSV, and as I am sure that it was not an easy decision, I am happy that you are watching out for you. Hi Holly. I used to be a life long dieter and once I saw your meals I instantly had to reach out to you. The fake sugar and the high sodium meat will hinder your weight loss. Please read the book called THE Plan which teaches you about food and your body. I lost 5 lbs this week and had bread and sugar for the first time in years. plus I haven't exercised. let me know if interested in more of my testimony. if nothing more read the reviews on Amazon. I'm so proud of you Hollie! 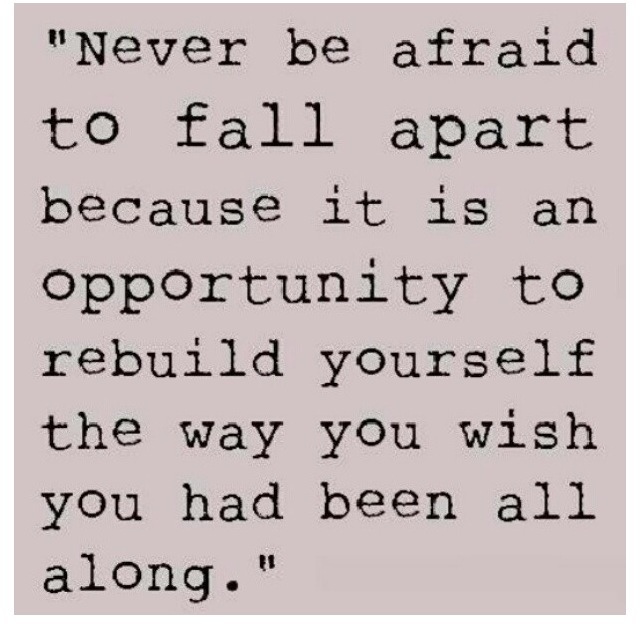 You are such a strong woman and the fact that you've stayed on track during such an emotional time proves that you are making changes for the long haul. I love this Weight Loss Blog inspiring post. Thanks! Just found you on MFP so you'll see a note from me there too but wanted to say 'hi' and congrats on wearing those jeans! I can also completely relate to the black hole. I whole-heartedly believe that I have to be complete before my natural tendencies will lead me to the healthy habits I'm kind of forcing right now. I'll get there some day! Please follow me on my journey also Holly & maybe we could trade links? Check me out please, I've just started & need support. Thanks! First of all - LOOK HOW SKINNY YOU ARE! Those pants are ridiculously cute! 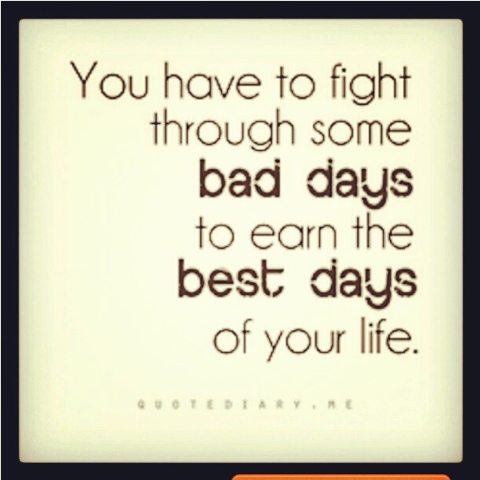 Thanks for your openness about the struggles going on. I sometimes think those of us just beginning our journey hear all of these "miraculous" weight-loss stories are overwhelmed because it sounds like these people never have problems! Wow do I feel ya on the trying to reconcile with the ex husband thing. I am in the exact boat and while you have made your intent and needs very clear, I did also but he's holding my wrists captive over the side so I can't swim away. (Bad analogy? lol) yeah, it is very hard for me to make big changes when it comes to my ex. ((sigh)) But I am proud of you for doing what is best for you. Hi -- I'm new to your blog and this is the first post of yours that I read. Good for you for making a hard decision that is ultimately best for you. Stay strong! And I agree with one of the other comments I saw -- you are gorgeous! Shine on!